Can this pocket DV camera rival more expensive options? 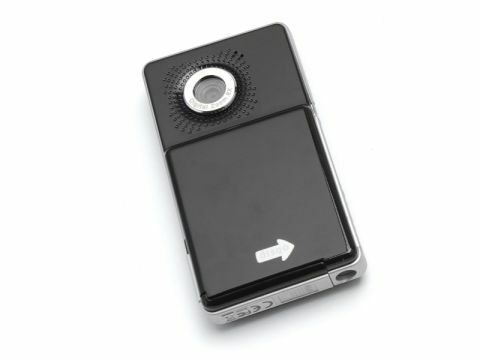 Disgo's Video Fun is a cheap pocket digital video camera… and it shows. We tested it against two mobile phones (Nokia N73 and iPhone) and all three did a fair job recording outdoors in the sun, but struggled indoors under false light. The Video Fun failed to outperform the phones, and, in some areas, was much worse. There's some nice bundled accessories, and if all you want to do is make movies in your garden and put them on YouTube, it's fine.